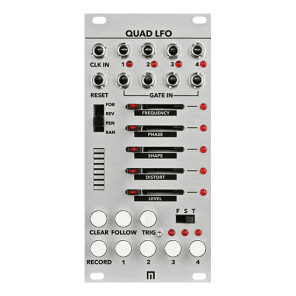 QUAD LFO in phase (quadrature) or multiple ratio or free mode. 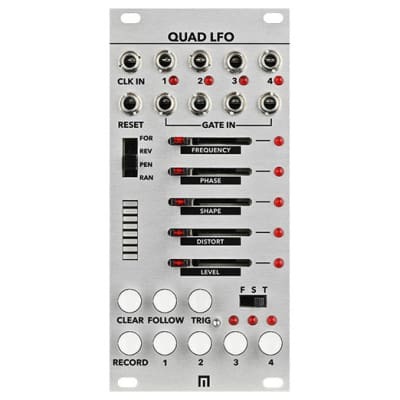 In "phase" mode, a quadrature LFO. Each of the outputs is shifted by 90 ° with respect to the previous one. I.e. that the first output has no shift (0 °), the second is offset by 90 °, the third is offset by 180 ° and the final output is shifted by 270 °. 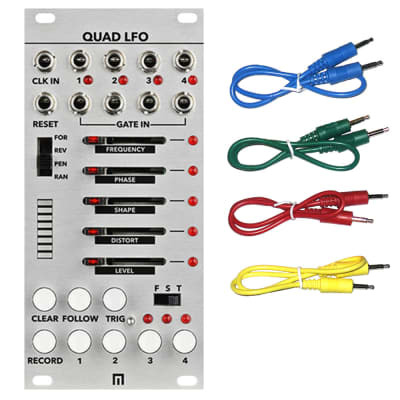 In "Lock" mode, all outputs are phase locked to the frequency of LFO1 with a fixed ratio between 1 and 8. 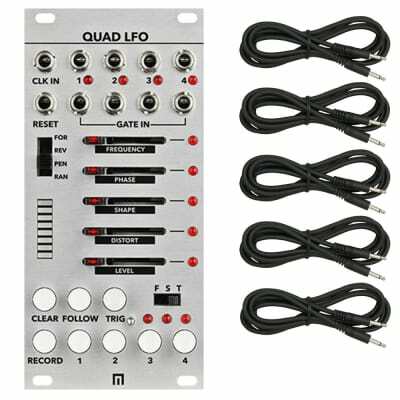 That is to say that you can have such LFO1, LFO2 = 1xLFO1, LFO3 = 3xLFO1 and LFO4 = 8xLFO1. 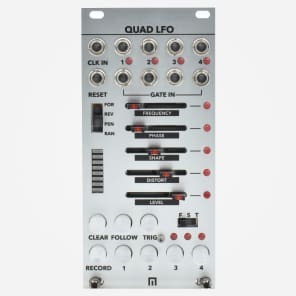 In "Free X" LFO1 LFO acts as Master and LFO2 to 4 are free and independent of each other. 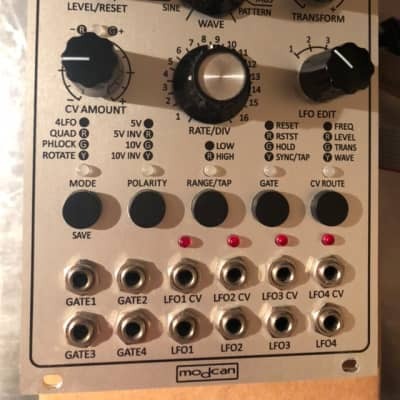 All this gives rhythm of VCO, VCF, Panoramic, etc. and thus create moods effects.